TAIPEI – Taiwan is shining a light on the identities of the most prominent tax evaders in the country, and is publicly identifying individuals and companies who choose not to pay their tax obligations and owe billions to the government. 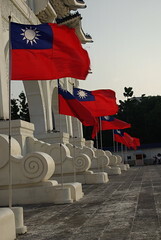 On July 1st the Ministry of Finance of Taiwan published a report which listed wealthy individuals and corporations which owe millions in taxes each, but are choosing not to meet their obligations. The move is aimed at increasing transparency and encouraging repeat tax evaders to comply with their obligations. According to the report, there are currently 665 individuals in Taiwan who each owe more than TWD 10 million in back taxes. Cumulatively, the wealthy tax evaders owe a total of TWD 40.5 billion, with the most significant tax evaders being the members of one family who owe a total of more than TWD 4.8 billion. Currently, 501 corporations in Taiwan owe more than TWD 50 million in taxes, and cumulatively owe approximately TWD 69.85 billion. The total number of wealthy tax evaders has dropped by 246 since last year, and the aggregate amount owed to the government has fallen by TWD 15.9 billion. Tax experts in Taiwan say that publishing information about large scale tax evaders will aid in increasing tax compliance and will improve tax collections in the country. However, the large sums of taxes owed by wealthy individuals indicates that there are some inefficiencies in tax authorities’ efforts to ensure compliance. It was suggested that the government should increase its efforts to actively pursue taxpayers who are financially capable of paying their liabilities but simply choose not to.